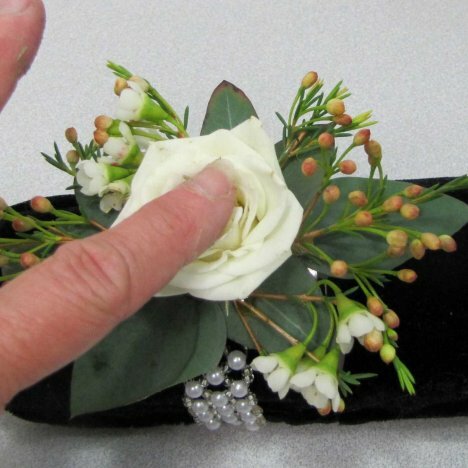 Press the first rose down into the center of the leaves and wax flower. 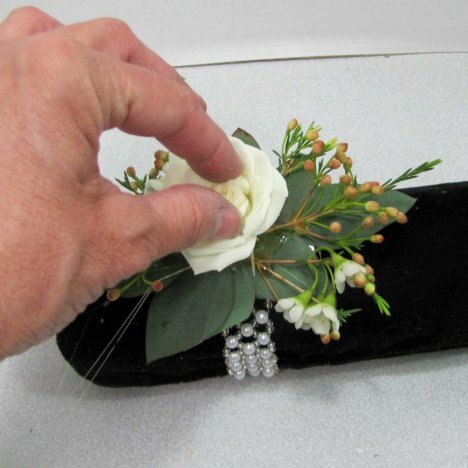 You may have to hold it into place until the glue is set up enough to hold the flower in place. 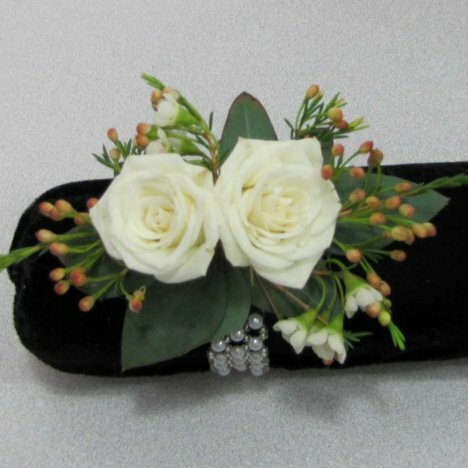 Follow the same steps to place the second rose head next to the first rose. 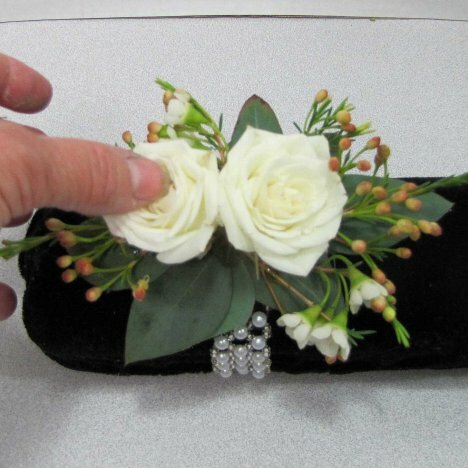 Don't worry, the flowers may move around a bit until glue is set, but you can move them into place for a short time.